Amanda decided to study Pranic Healing to complement her background in the Beauty Industry. Amanda takes an integrated approach to helping her clients achieve their beauty, health & well-being goals. Having received her Pranic Healing training, she uses the development programmes to transform her personal & professional life. It is through this she has gained a passion to give back & inspire others to reach their goals through meditation and practices discovered in Pranic Healing. 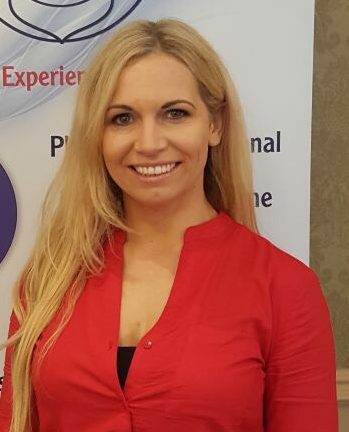 Amanda is a beauty therapist and teacher specialising in Cosmology, Facial/Body Therapy & Electrology, awarded by one of Irelands most prestigious Colleges, Galligan Beauty of Grafton Street, Dublin. She combines her knowledge to empower people to achieve their health & beauty goals. From a young age, Amanda worked in her school to establish the first Social Development Project, aimed at inspiring youth to stay in school. She has a deep passion to give back to the community and now uses Pranic Healing & Meditation for Children, Parents & Teachers school programmes. Please see icons to the left for ways to contact Amanda.